As I’ve already mentioned here before, one of my favorite things about being a designer is the lack of exams – we finish every class through presentations. Even though they are not easy – you have to be pretty confident to present all your projects in several different stages of the process in front of the entire class and teachers and make it interesting – they are surely more enjoyable and flexible then sitting in an exam room. 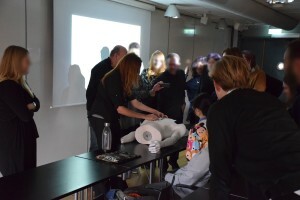 In Lund, there is the added perk of a very informal environment among students and teachers. That makes presentations more fluid and natural. Teachers are also very respectful towards your presentation here – they will rarely interrupt you. Most of them will write down questions to be asked after you’re finished (that did not happen in other universities in other countries). Ah, and don’t forget the clapping – there’s ALWAYS clapping after any kind of presentation. This picture is from last semester’s final presentation for the Nasa project. 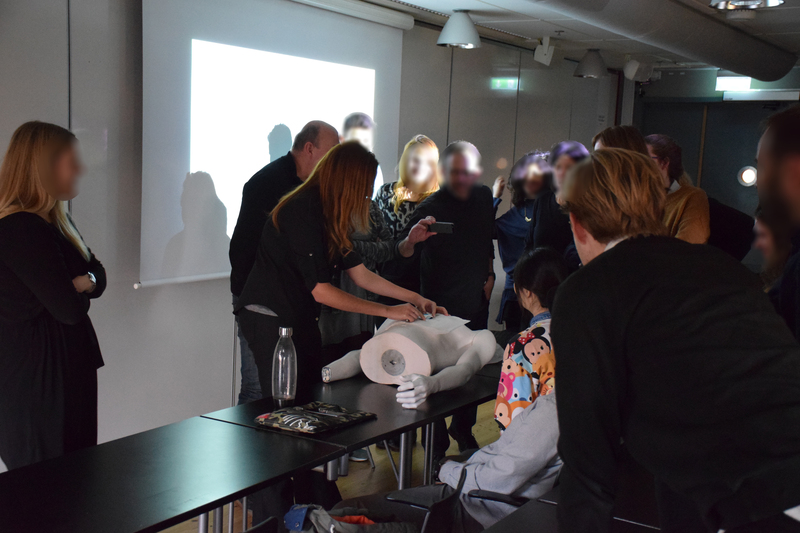 My project was about surgery in low gravity, so I used a mannequin doll to “perform surgery” to show the group how the process worked. You can be creative and use whatever resources are available – and the teachers and students will appreciate the effort. Wait, you stopped reading after I said “Nasa project“? I know. I would too. But I’ll save that for a next post. This entry was posted in Exams, Studies and tagged Design, Exams, Nasa, presentations, teaching. Bookmark the permalink.